Snrky: That explains why some buttons are just for clicking. That explains why some buttons are just for clicking. Snarky: I write my own acceptance criteria. 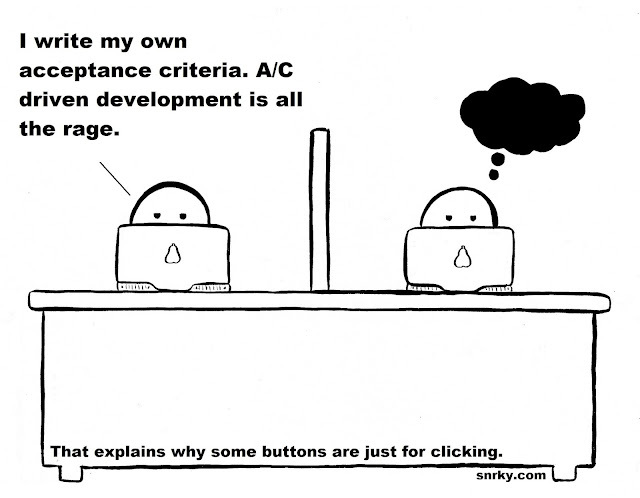 A/C driven development is all the rage. Title: That explains why some buttons are just for clicking.